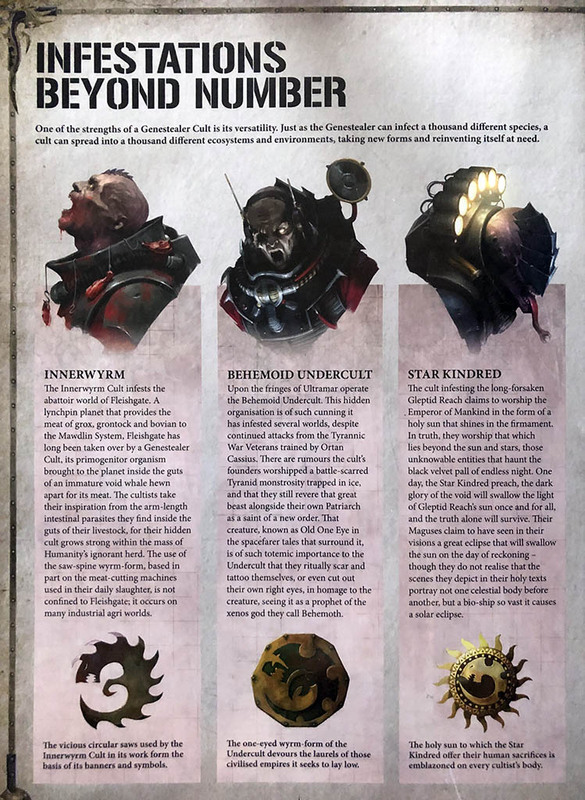 Now it’s worth pointing out that the Genestealer Cult bends the rules of the game into an interesting shape–their playstyle is not one we’ve really seen in the other armies. 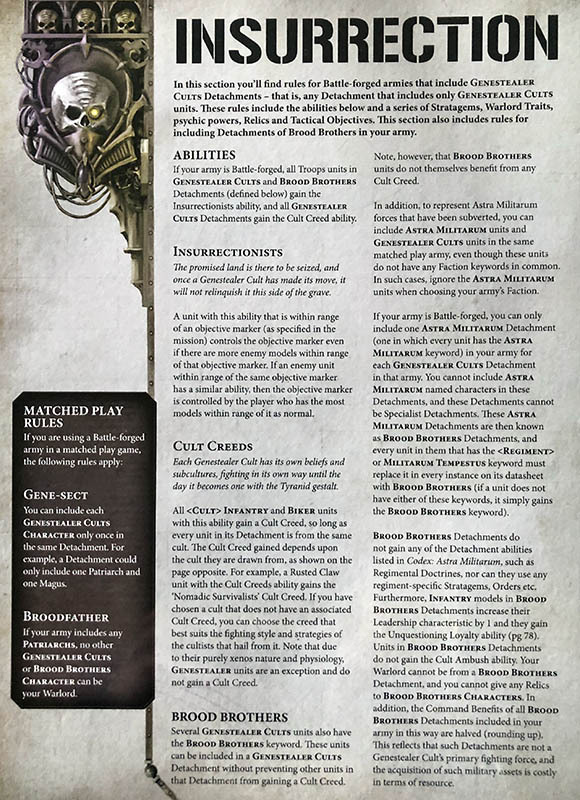 From the way that Cult Ambush works, to the kinds of Stratagems that interact with Deployment and Reveals, this army feels like it’s one that’s meant to force a lot of mistakes–which is good because the GSC need some other advantage to help secure victory for their units that otherwise might be lackluster. 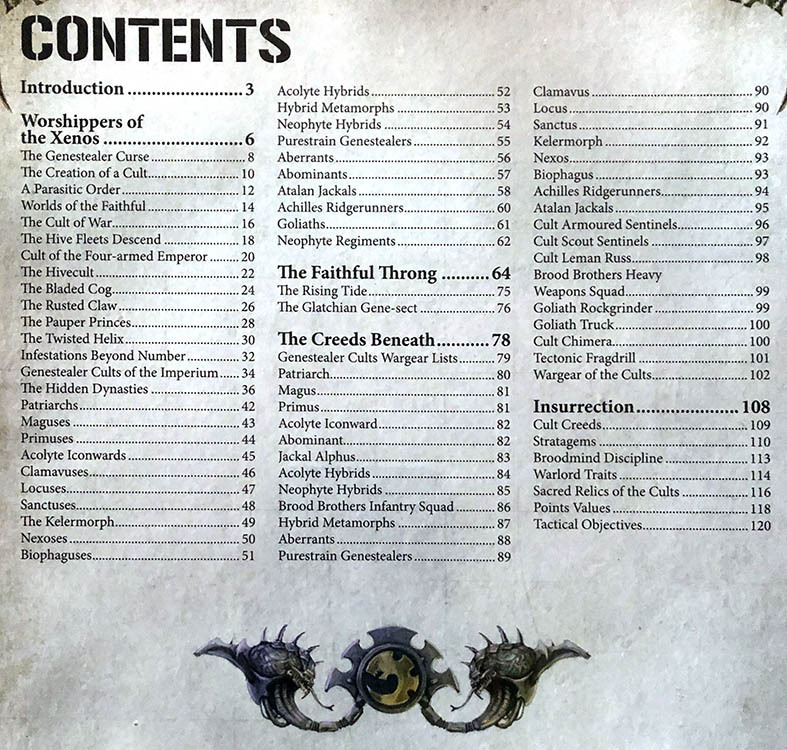 One of the biggest ways they can do this is by making heavy use of the Cult Ambush Special Rules as outlined below–and take not of the weapons list as well. A lot of what you get out of your units comes from the way you arm them. 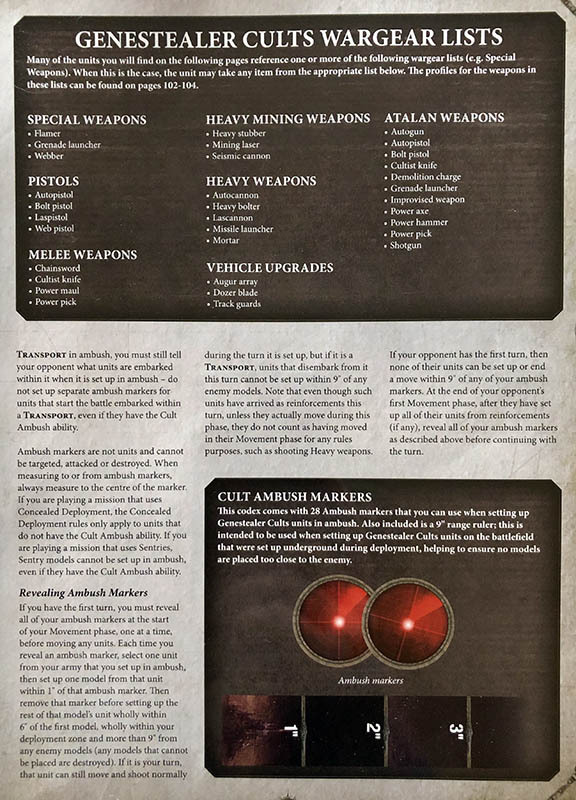 Atalan Jackals, for instance, will probably load up with Power Axes and end up as more a melee cavalry kind of role. 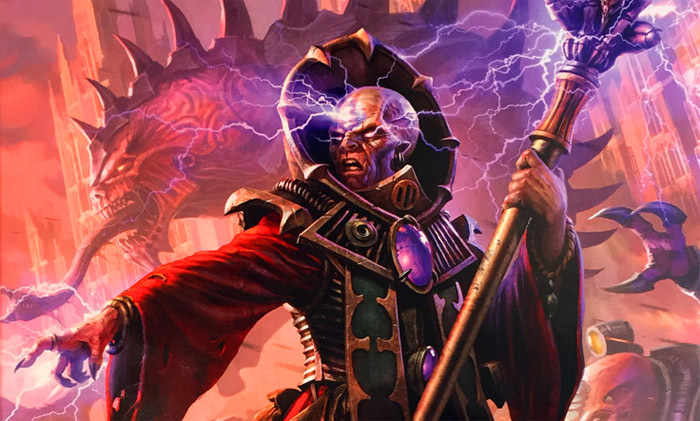 All in all this is an interesting looking army and we’re excited to see how it plays. It feels different from the other ones–like it has a higher skill cap, and will reward players ready to capitalize on the openings they create, which could lead to some very satisfying moments of gameplay. In the meantime, let us know, what do you think of these rules?